© 2018 MULTIMEDIA UNIVERSITY. ALL RIGHTS RESERVED. Our option of various loans and scholarships are available for deserving students so that quality university education is accessible to all. Skim Prihatin Pendidikan 1Malaysia (SPP1M) or 1Malaysia Education Caring Scheme is additional financial assistance to deserving students to pursue quality degree qualifications in identified disciplines and courses. This additional financial assistance will act as a top-up fund to their existing fun or scholarship. 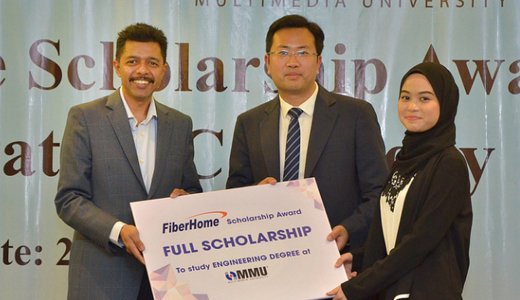 Multimedia University (MMU) is pleased to announce High Achievers Scholarship for international students, effective July 2018 intake onwards. This scheme is open only for new international students who enrols MMU begining July 2018 intake onwards. Eligible students will be automatically awarded. Terms & conditions apply. • A discount on tuition fees is given to new international student who achieves following criteria for their first long trimester achievement at MMU. • Open to MMU active international students who enrol to MMU beginning July 2018 intake (Trimester 1, 2018/2019) onwards and pursue their program either in Foundation or Degree only. • Applicant must meet MMU’s minimum academic achievement as per stated above in their first long trimester result in MMU in order to enjoy the benefit. • Applicant must complete the respective program as per MMU Senate approval. • The scholarship is automatically awarded to eligible students based on their first long trimester result. • The value of scholarship is as per first long trimester result GPA. Strictly no upgrading of scholarship will be entertained. • Student requires to maintain a minimum CGPA of 3.0 every trimester throughout their duration of study in order to enjoy the scholarship, failing to do so the scholarship will be terminated. iv. fails to abide MMU rules and regulations. • The scholarship tenure is as per MMU’s Senate approval for the duration of program. 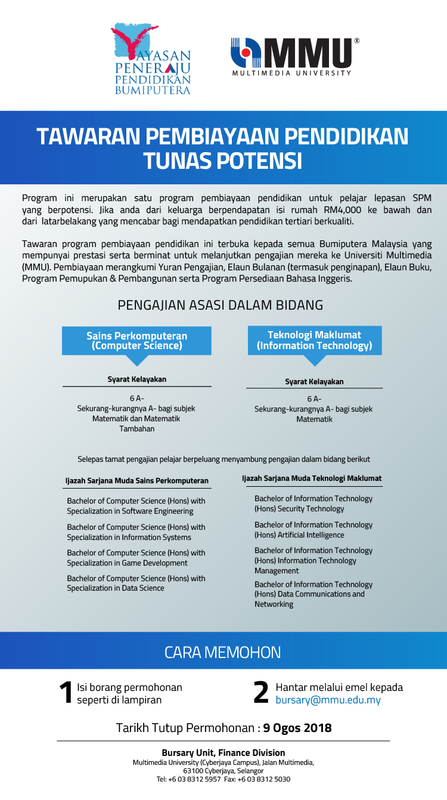 • A student is entitled to only one scholarship/discount scheme offered by MMU. In the event that the student qualifies for more than one scheme, he/she must choose only one scheme. • The scholarship is given in the form of tuition fee discount; it is not transferrable and cannot be exchanged for cash. • All scholars will be required to assist for any form of marketing / promotional activities whenever necessary required by the university from time to time. • MMU reserves the right to change the terms and conditions of the scholarship scheme as and when required without prior notice. MOE Registration Certification No: DU001(B).